I’m starting to have those twitches in anticipation of Spring. I’ve had absolutely enough of this cold, snowy mess. What I haven’t had enough of is cold, messy drinks. Any excuse to pour whiskey and root beer and more whiskey over ice cream is a good excuse to me. In anticipation for the upcoming Super Bowl events, where I’m almost certain you are suppose to fill super-sized bowls with snacks and drink all of the liquor in the house at once, I’m showing you one of my favorite chilled party draaanks to warm you up. Once you are in full Super Bowl swing this weekend, you aren’t going to want to have to do any work. That’s the reason you decide to host parties like this. You invite everyone over, tell them to bring everything they want to eat and drink, put out everything, and let them do their own work. You could always hide a drink or two for the alone after-party. Hosts benefit, right? Right. 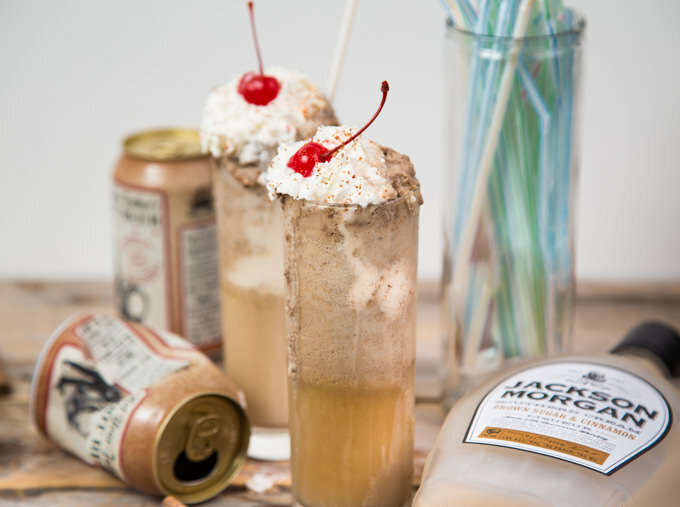 Ice cream and booze make for the perfect football-lovers combo. The best thing about this chilled cocktail is that you really don’t have to prepare a single thing ahead of time. You can focus all of your time on watching the teams score home runs or whatever they are. I’m normally not too crazy about root beer. I think it goes back to some repressed childhood memories of those awful Long John / A&W combo restaurant places. I can just remember that it was a place you could get fish shaped like a weird diamond and root beer that tasted like a weird combo of Coke and metal. 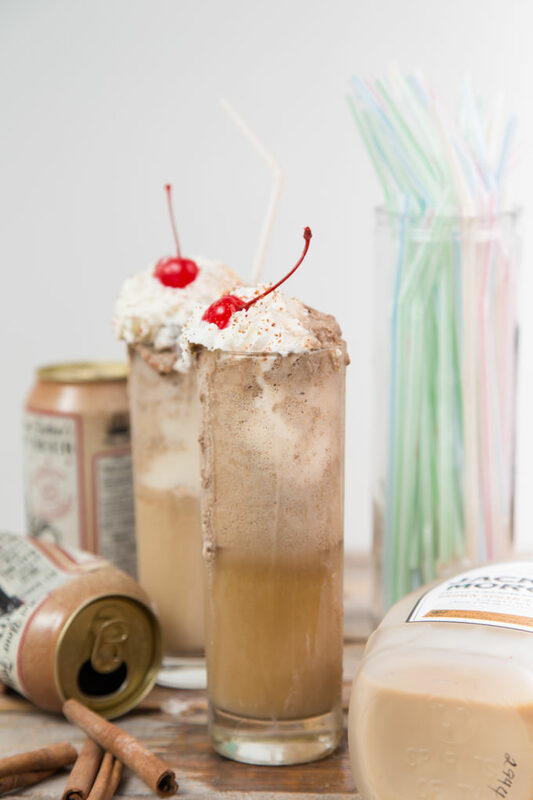 I hadn’t had a single drop of root beer since my childhood, but thought I would give it a single go when I was trying to come up with a mix for this recipe. One taste as I was hooked. I didn’t use just regular ol’ RB. This is the eff’in Super Bowl, y’all! Everything has to be bigger and better. I jumped into the boozy beers section of my grocery store and picked up a nice 6% ABV pack of adult, manly-man root beer. Maybe it’s just the booze talking, but root beer with a bit of daddy’s juice in it is fantastic. We aren’t going to stop there. 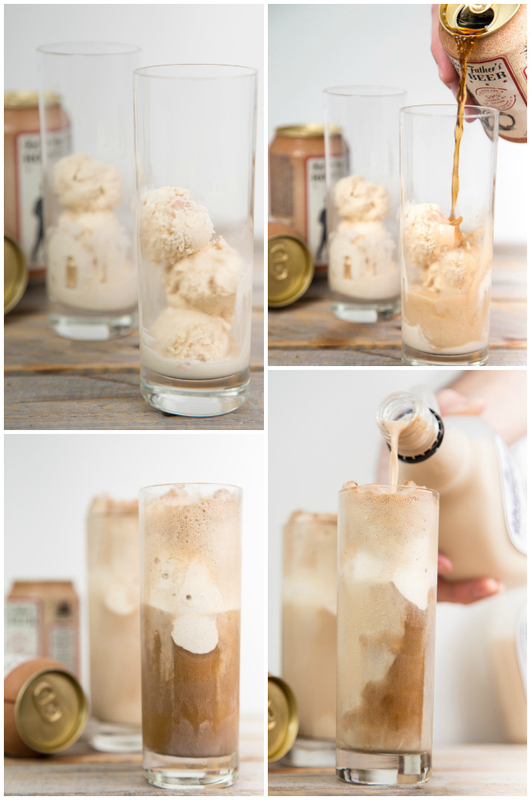 The absolute best part of this drink is in the addition of the WHISKEY CREAM. Y’all have seen this stuff before in the pastry cream for the Brown Sugar CinnamonWhiskey Cream Eclairs. After those were magically finished off in a single night, I stocked up on more of the Jackson Morgan Southern Cream. PS– They have a badass Southern Bread Pudding flavor as one of the options. I’m dying to bake some sweets with it soon. IT’S SO $#*@)$&! GOOD. You’ll def see that one pop up pretty soon in some boozy baking. After multiple rounds of recipe testing (so, so difficult, y’all), I finally decided upon… more recipe testing. Food blogger perks, what?! To play off of the rich brown sugar cinnamon flavor of the Jackson Morgan Southern Cream, I used a cinnamon swirl ice cream. Technically, it was called fried ice cream ice cream. 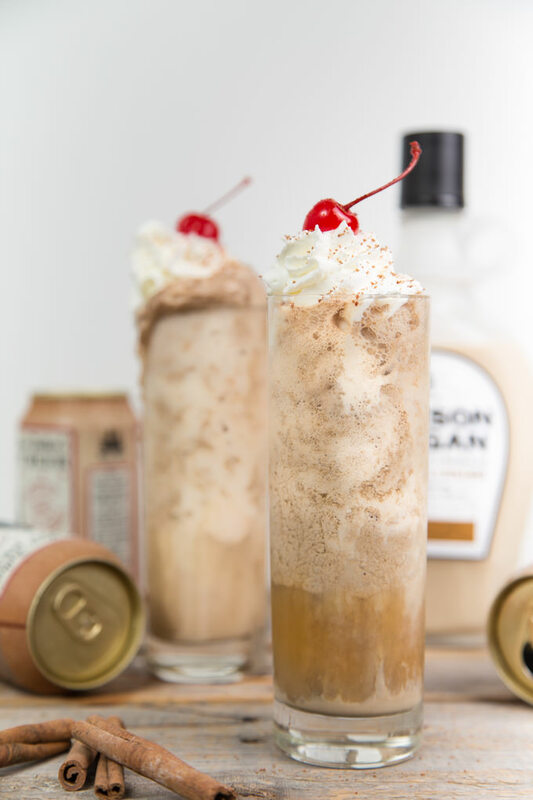 Aside from how annoying that redundancy in the name is to my slightly-OCD self, the stuff pairs perfectly with the mix of sweet and spunky root beer, smooth Jackson Morgan Cream, and all of the tiny bubbles. The best part of these is when you let it sit for a few minutes. Y’all know what I’m talkin’ ’bout. When the (spiked) soda starts to chill [queue Frozen music] and form those little ice crystals around the ice cream. Now think of all of that surrounded by a cinnamon brown sugar cream hug. It’s PERFECTION. Super Bowl, here I come! Sip and be social, y’all. 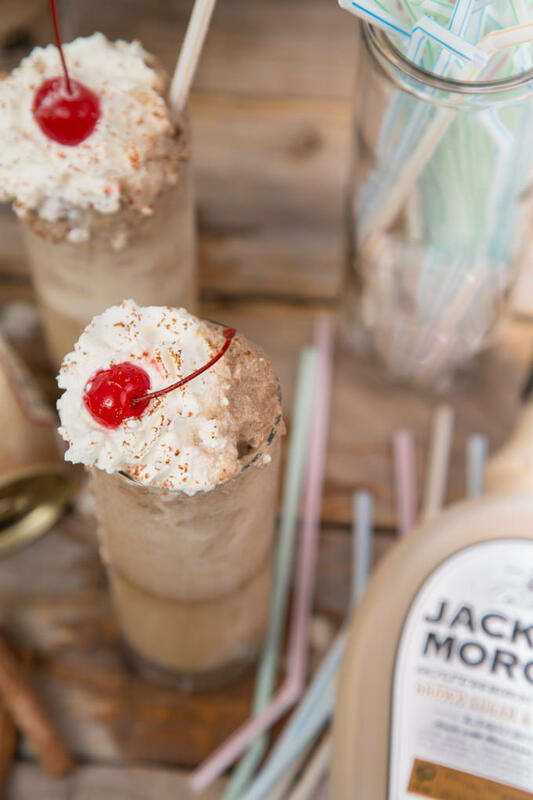 Spiked root beer floats with cinnamon swirl ice cream surrounded by Jackson Morgan Brown Sugar & Cinnamon Southern Whiskey Cream. Perfect party punch! Enjoy! Find more on SouthernFATTY.com. Jackson Morgan is available at these locations. You can also order online at the retailers listed here. Disclosure: This post was made possible through a partnership with Spirits of TN. 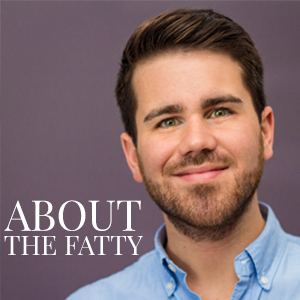 I partnered with this company because I enjoy this product. Everything said here was drafted as a result of my true opinions alone. This cream sounds so good! We got some Abita hard root beer a few weeks ago. It was AMAZING – we thought it was much better than Not Your Father’s (which we didn’t think was bad at all). This looks delicious! I can’t say I’ve tried that one yet. Slowly working my way into the root beer world. I’m pretty sure I should try everything new in combination with ice cream and booze! Right?! Thanks so much for checking it out! OMG these things look like heaven in a glass. Is it back I’m now craving one at 7am?? I will have to give this concoction a try!! Thanks, Amanda! Hope you enjoy. At 7am. Because it’s dairy and that’s totally appropriate for breakfast.